Each Thursday we will bring you a brief weather roundup so you’ll have an up-to-date report on what’s happening before you head off to the mountains. 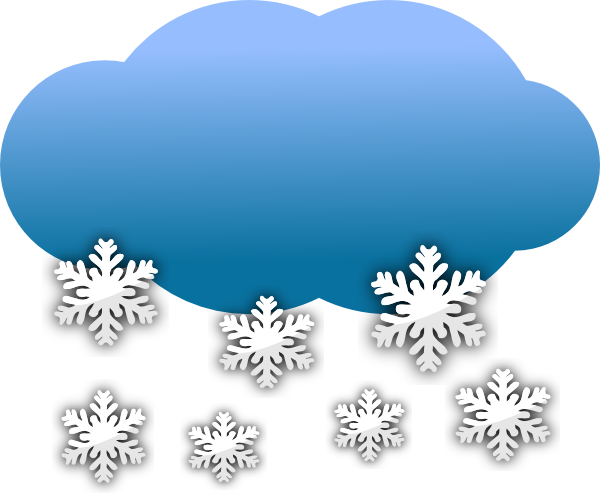 You can still check out our snow reports for up-to-date details of individual resorts. Scotland has had Storm after storm bringing some amazing snow conditions, but the wind has often prevented the resorts operating. There’s another low coming in from the Atlantic over the weekend, but looks like it may pass far enough South that the highlands will escape the worst of it. Over the weekend, head to the West for the lightest winds. 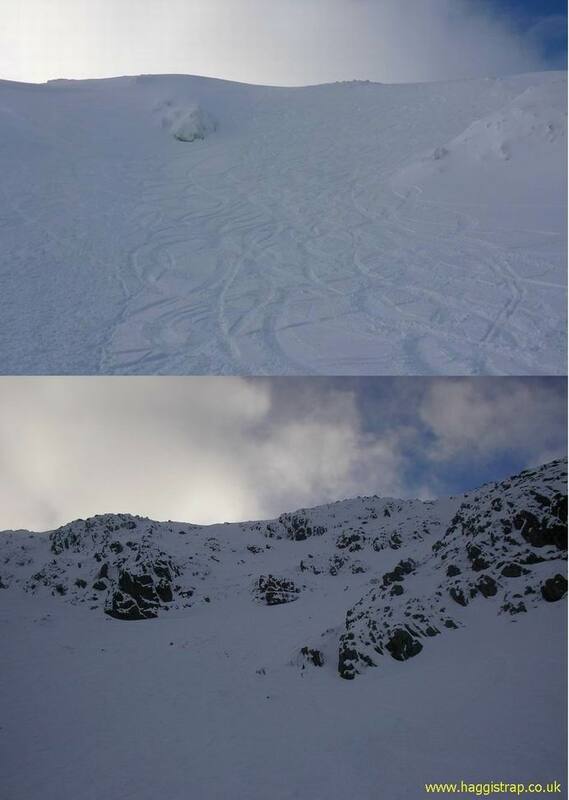 As an indication of just how good conditions are, have a look at this photo from HaggisTrap. 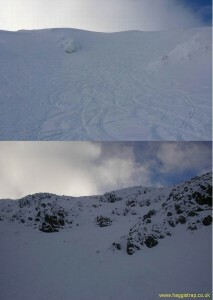 The top is the FlyPaper in Glencoe now, and the bottom is how it normally is.